My sixth graders and I had a rewarding year delving into social awareness topics of their choosing. As a GATE class, we participate in Passionate Kids Project. This year, along with discovering our passions, we tackled social concerns. To be honest, the topics were out of my comfort zone but I trusted my student’s maturity. The inquiry was broken up into experiences throughout the year. The focus was on solutions. Our inquiry cycle started out with many guided experiences then culminated in a completely student-led seminar. Let’s take a look at our cycle. We had a busy and productive year. We started the year in the shallow end of the inquiry pool and ended in the deep end. With lots of support and encouragement along the way, I’m proud to say that my sixth graders are leaving me as confident, independent scholars that were allowed to share their voice. Educators, after 25 years of teaching, I’m still stretching, learning, and more importantly, trusting my students. We are in a new era in education. It’s time for us to make learning relevant, bring in student interests, and loosen up the reigns. It’s a journey. It’s taken me three years to get here. But the rewards of seeing my students share their voice, learn through experiencing successes and even failures, is worth any discomfort we may have. I encourage you to take on an endeavor next year that may make you uncomfortable. I wasn’t sure if we could handle these deep topics, but we did. I cried more this year than any other year (out of pride). I stepped out of my comfort zone, and I’m so glad we did. On another note, if you’re interested in starting or refining your inquiry journey, I highly recommend Dive into Inquiry and Inquiry Mindset by Rebecca Bathurst-Hunt and Trevor MacKenzie. If you’re interested in problem based learning and want to try #Smashboardedu, give Dee Lanier a follow or check out SmashboardEdu.com. What does it take to accomplish a goal? With the question in mind, I put my lesson design hat on and implemented a three part inquiry. ​Let’s see what we did. We started the inquiry off using the Question Formulation Technique modeled after The Right Question Institute (here). My sixth graders used this slide deck to guide the process. This is our fourth time implementing QFT this year. The level of familiarity and confidence with the process was evident. Students dove right into the provocation. How do goals lead to action? How do goals prepare us for the future? Are goals and accomplishments the same? Is a goal always accomplished? As you can see, their questions are a combination of opened and closed. We’ve come to realize that both types of questions are important. How will you use the questions? This particular session was special because, as an AVID elementary school, we’re working on collaboration and supporting teacher leaders. Part of our plan this year is for teachers to share best practices and learn from each other. My dear colleague and I shared our passions with each other, along with our principal and instructional coach. The next part to our inquiry was using the student generated questions from the QFT in a socratic seminar. During the peer lesson study, I observed my colleague implement a socratic seminar with her fourth graders. They did great! Since many of my students were her former students, I wanted to be consistent with the process. For our goals socratic seminar, I split the class into four groups. We had two seminars running at the same time. Each seminar had an inside circle and an outside circle. The inside circle held the discussion and the outside circle were the observers. The students discussing were given questions generated from the QFT on index cards. The discussions were 5 minutes long. Each observer was assigned one student. Observations were recorded on index cards. After the discussions, the observers orally shared their observations. Once one round was complete, the inside circle and the outside circle swapped positions and the process was repeated. The students did great with the socratic seminar. Because we run a student-led classroom and they were previously exposed to socratic seminar, the discussions were on point and observers took their role seriously. In this case, pictures speak louder than words. Take a peek. The culmination to our inquiry was creating vision bottles. One of the essential questions for the unit was “What can people accomplish when working together?”. I decided to use this as an opportunity to have our instructional coach come in and co-teach a lesson. The vision bottle lesson included several parts: strips with self-reflective questions, friendship, SMART goals, and tactile items to inspire. Click here for the lesson. A real quick to be honest. I thought the activity would take one class period. It actually took two. But I recommend three in order to honor each part. ​The component that tied into our inquiry was the SMART goals. For this part, we shared and discussed this image. Using the structure, I modeled several personal goals for myself. We discussed and shared math, language arts, and personal goals orally. Then, students wrote their own goals. 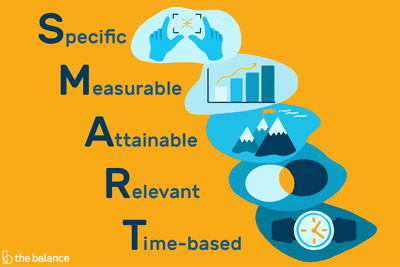 For this lesson, I didn’t insist that all the components of SMART goals was in their sentence. Another to be honest. It is REALLY hard for students to write SMART goals. Take a look at some of their goals. Shout out to our instructional coach, Lagina Young, for the inspirational handout and fun items to put in the bottle. The students loved them all! Thank you sharing your creativity with us. Our goals inquiry was relevant, scholarly, and fun. I’m proud of my sixth graders for digging deep into QFT, having a scholarly discussion on goals, and would love to hear how they react years from now when they rediscover their vision bottle. Are you using inquiry or QFT in your classroom or school? I’d love to see what you’re doing. I hope all of your goals and dreams come true in 2019! We’ve had a great start to sixth grade. I’m excited to share our first inquiry project. In science, we’re studying ecology. As an extension, we dove into a biome inquiry project. We started by discussing the “Types of Student Inquiry” poster by Trevor MacKenzie and Rebecca Bathurst-Hunt. At the end of the year, we conduct a free inquiry on our personal passions. 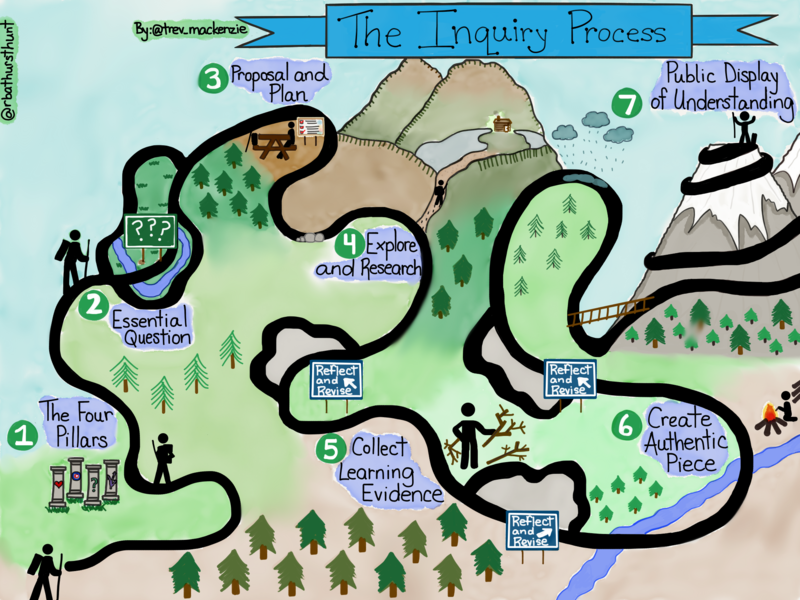 I really wanted students to see inquiry as a journey, something that is process as well as a product. The student’s perceptions and discussions about the poster were deep and targeted. They left the session feeling confident and supported. I was pleased with their level of engagement and understanding. Here is the sequence that we followed. -In groups, students compiled their questions onto a poster. -I created a Google doc with all the class questions. -In groups, students changed several open ended questions to closed questions and vise versa. -Students finished the process by choosing three questions they were most interested in answering individually. It was such a powerful experience watching students interact with their peers and ask questions. Their collaboration skills were excellent. I created my own tally sheet of questions students were interested in answering. With student interests and content standards in mind, I created a choice board of essential questions for students to use for their inquiry. When we introduced the inquiry project, students were instructed to choose four questions from the choice board to research. (Document here.) Because this was a controlled inquiry, I provided three templates for students to use. (Templates here, here, and here.) Each template had the same components: title page, four essential questions, captivating image, quote, map, and resource page. The required components were the title page, four questions, and resource page. The image, quote, and map were available for students that wanted to “level up”. Most students completed some or all of the additional options. Part of my workflow to monitor students and their progress was for students to fill in the cells of the questions they would answer on their choice board and send me their Google slide link using a Google form. We also created a crowd sourced resource page for students to use. Additionally, I had a poster of the choice board where students wrote their names by the questions they would be answering. This became a support when students needed assistance with a particular question. Students spent about 5 class periods researching, taking notes, writing their responses, and completing their slide deck. Experts in particular areas emerged during the week and became valuable resources to classmates. Some students shared how to insert links and images, other students were eager to share sites they found, while others shared how to use text boxes and word art on the map. The final products were informative and scholarly. Just as important was the amount of student agency that developed during the unit. Because students were involved in determining the questions being used and choosing their own template, their engagement was high. We have a flexible seating environment and students regularly collaborate with peers. These structures amplified student success. Next on our agenda is a guided ancient civilizations inquiry. 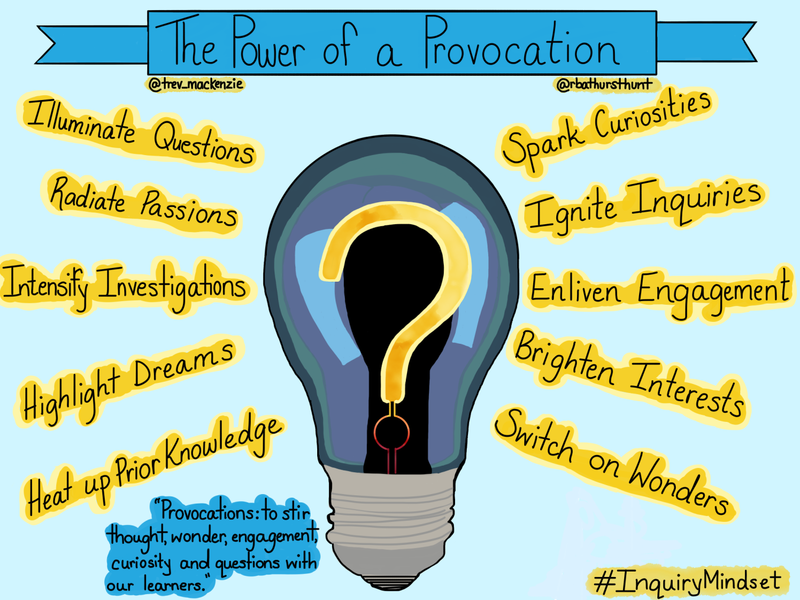 If you’re on an inquiry journey, I’d love to be tagged in your posts. Trevor and Rebecca have an active community using the #InquiryMindset hashtag. Be sure to give it and them a follow.